Asia's Biggest LNG Terminal in Karawar, Karnataka (India). Fox Petroleum with the Government of Karnataka. MOU Between Fox Petroleum and Govt of Karnataka worth $1,038 Million USD has been signed between Ajay Kumar and Minister of Industry - Government of Karnataka (India Govt). Ajay Kumar, the chairman and managing director of Fox Petroleum, based in New Delhi, which is an associate company of Fox Petroleum FZC in the UAE, said there was plenty of potential for the UAE to invest in India's energy sector. "We are expecting investment into the energy sector, including terminals, refineries, which will enhance the economy of India as well as the returns for the UAE," he said. Fox Petroleum chairman and managing director Ajay Kumar told the publication that investment in terminals and refineries is on the cards. Citing recent advances in deep-sea pipeline technology, Fox Petroleum's chairman asserted that gas imports to India via OIMPP would be less expensive than India's LNG imports by $1.5-2 per million BTU. The same pipeline system could also be used to transport natural gas from Qatar to India, thereby creating a nexus of the Persian Gulf natural gas suppliers oriented toward supplying the world's fast-growing major economy. India's population: 127-crore India recorded a population of 127,42,39,769 with a growth rate of 1.6 per cent a year which could make the country the most populous in the world by 2050. Kyrgyzstan shows "strong support" to India's candidature for permanent membership in an expanded United Nations Security Council. 10 UPSC MIRROR Copyright 2015 UPSC Mirror India and Pakistan are new full SCO members India and Pakistan are accepted as full members of the Shanghai Cooperation Organization (SCO). Nodal officers to follow up MoUs signed during investors' meet. The State government has started appointing nodal officers from the Industries and Commerce Department to follow up the memorandums of understanding (MOUs) signed during the Invest Karnataka summit, but at the same time set a deadline for the companies to file applications by May 15 to take their projects forward. Fox Petroleum has come forward to set up floating storage regasification units in coastal districts at a cost of Rs 7,000 crore. Fox Petroleum Gas based Power Plants in the states of Bihar. A United Nations Economic Commission for Europe (UNECE) project. 1 of 5 regional commissions of the United Nations. Fox Petroleum To Start With Their New Expedition in Afghanistan. Fox petroleum chairman Mr. Ajay Kumar along with his accompanying office staff met with Mr. Sayed Mujtaba Ahmadi, Economic Counselor at the Embassy of Afghanistan to discuss their delegations visit to Afghanistan to meet with the relevant government officials and hence forth with the Honorable President of Afghanistan on installation of a gas pipeline which would cater to the energy starved public of Afghanistan. Tanchum said that in addition, Fox Petroleum, which also submitted a proposal to construct the pipeline, have asserted that gas imports to India via an undersea pipeline from Oman would be less expensive than India's LNG imports by $1.5-2 per million British thermal units. "Despite the added challenge of having to circumnavigate Pakistan's extended EEZ, the project appears to remain feasible," the senior fellow at the Eurasian Energy Futures Initiative and Global Energy Center at The Atlantic Council added. "There are reasons for guarded optimism," said Micha'el Tanchum, a non-resident senior fellow at the Atlantic Council, a U.S. think tank. According to Tanchum, there has been "continuous progress" since the Asian Development Bank was appointed. Oman Gas Projects Could Undermine U.S. LNG Market Ambitions. Meeting With HE Hamed bin Saif bin Abdul Aziz Al Rawahi, Ambassador of Oman to India, The Embassy of Sultanate of Oman. Modi and the Sino-Indian Game for Iranian Gas - The Indian prime minister makes his opening move in a mini "Great Game." A week prior to the Iran-P5+1 Framework Agreement, Fox Petroleum issued a proposal for the construction of the Oman-India Multi-Purpose Pipeline (OIMPP), a deep water pipeline system to transport Iranian natural gas via Oman to a receiving terminal on the coast of India's Gujarat state. Costing an estimated $5.6 billion, the 1,600 km pipeline would transport 8 trillion cubic meters over a 20 year period. Citing recent advances in deep-sea pipeline technology, Fox Petroleum's chairman asserted that gas imports to India via OIMPP would be less expensive than India's LNG imports by $1.5-2 per million BTU. The same pipeline system could also be used to transport natural gas from Qatar to India, thereby creating a nexus of Persian Gulf natural gas suppliers oriented toward supplying the world's fast growing major economy. And, as Modi intimated in Ashgabat the potential would even exist for Turkmenistan to export its gas to India across Iran and via the undersea pipeline. LNG fights for growing share of Indian power market - Fox Petroleum at Karwar (7.6 mta) million metric tons per annum - Front-End Engineering and Design FEED. Fox Petroleum Ltd was among the major investment proposals for which MoUs or EoIs were signed during the Invest Karnataka 2016 summit. The OPEC International Seminar regarded as one of the premier events on the world energy calendar. Considering the fact that known sources of natural gas in India till date is just 1.33 trillion cubic meters, India will need to source a major portion of natural gas supply from outside to meet the rising demand. The government will need to make planned efforts to find a lasting solution to the problem. The sooner the government takes a serious view on the proposal, the better it will be in the interest of the country to ensure its energy security. A boom in LNG demand and projects is taking shape in India. Demand for natural gas, mainly from new power generation projects, fertilizer plants, and industrial users, is projected to soar in the world's second most populous nation. Its paltry domestic output of natural gas mandates that India must import natural gas to meet it expected explosive growth in demand for the fuel. While pipeline imports might seem a logical choice, this is a problematic alternative. Hence, Australian LNG & Oman-India Multi-Purpose Pipeline can solve the energy demand in wholesale for next 25-30 Years; According to the U.S. Energy Information Administration, this shortfall is expected to rise dramatically by 2020 and continue rising through 2030, when it will peak at 3.56 billion cubic feet per day. Meeting with Chinese Government Official and three Premier China Banks Chairman. 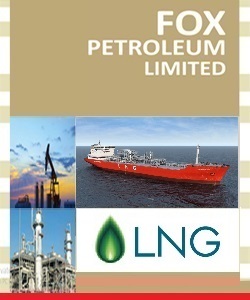 "Fox Petroleum Signs MoU with Govt of Karnataka for FSRU LNG TERMINAL"
Fox Petroleum Group of Companies with interest in Oil and Gas sector, Power Generation and Distribution is one of the leading Company in its chosen field; With its core purpose of its existence to "Make India a No Dark Zone", Fox Petroleum tries to explore - what change should India make in order to offer more secured energy future? intends to create a strong Storage and Transportation Infrastructures like FSRU LNG Terminals, Oil & Gas Pipelines, Oil storage Bunkers, Oil Refineries and further Gas based Power Plants in India followed by creating avenues for manufacturing industry in the lines of Government of India's "Make in India" Campaign. It believes that by such Storage and Transportation infrastructure will boost the Gas based Power Plants for producing More Power at low cost and the Generated Power can be used for development of manufacturing industry across the sectors. To achieve the following objectives: (a.) The Company proposes to set up Floating Storage Regasification unit with Storage Capacity Plant of LNG, in Karnataka with an investment of Rs 7000/- crores. (b). The Government of Karnataka will provide the requisite support for implementation of the above project in the State. (c) Create 3000 New Jobs with guarantee to hire 90% local youths. The project will be developed in Karawar District of Karnataka; Floating Storage Regasification Unit (FSRU) LNG Terminal Offshore to process 1 billion cubic feet (bcf) of gas per day and a storage capacity of 330,000 m3 of LNG Onshore and same capacity Offshore to cater the Energy Need of the State of the Karnataka (India); Fox Consultancy Services Team with provided with the unit cost of each terminal component for three shipyards in Korea, Japan, and Spain respectively. At current market prices, Spain is the least-expensive location. The total cost for constructing the FSRU estimated as US $563 million only offshore and onshore US $495 Million. 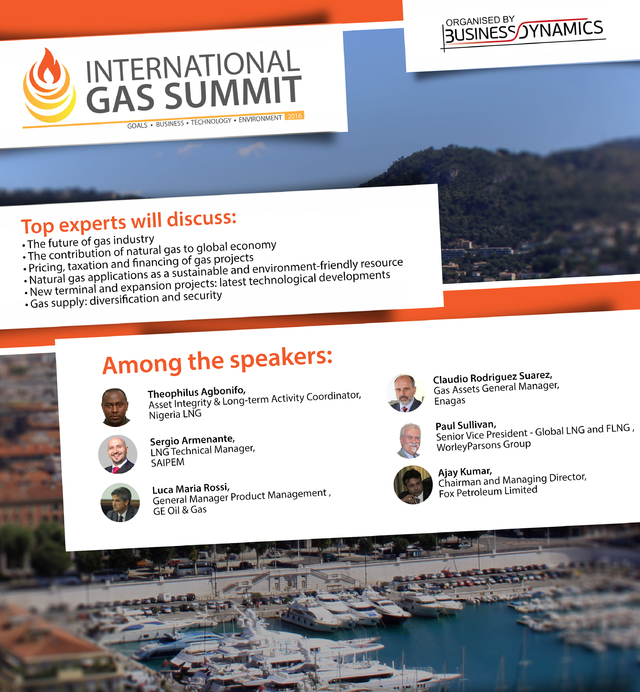 Deals in: Oil & Gas LNG, Power Generation, & Distribution and Infrastructure Development. © Copyright 2008-2016 Fox Petroleum. All Rights Reserved.